Having kids in our 20s and early 30s doesn’t work for everyone. Whether it’s timing, fertility, finances or a laundry list of other reasons—moms are waiting later to get started. The narrative of graduating college, marrying and starting your family in your mid-20s—and the even older narrative of marrying your high-school sweetheart and soon afterward starting your family—no longer holds. According to the Centers for Disease Control and Prevention (CDC), the number of women choosing to have a first child after 35 has increased steadily since the 1970s. With this new trend, followed by Illinois Senator Tammy Duckworth and celebrities like Janet Jackson, who have given birth after turning 50—terms like “menopause baby” and “geriatric mother” are viewed as archaic and shortsighted. JENNY RUUD HOLDING TWINS LUCAS AND ELIJAH FOR THE FIRST TIME IN THE NICU THE DAY AFTER THEY WERE BORN. Meet Jenny Ruud. 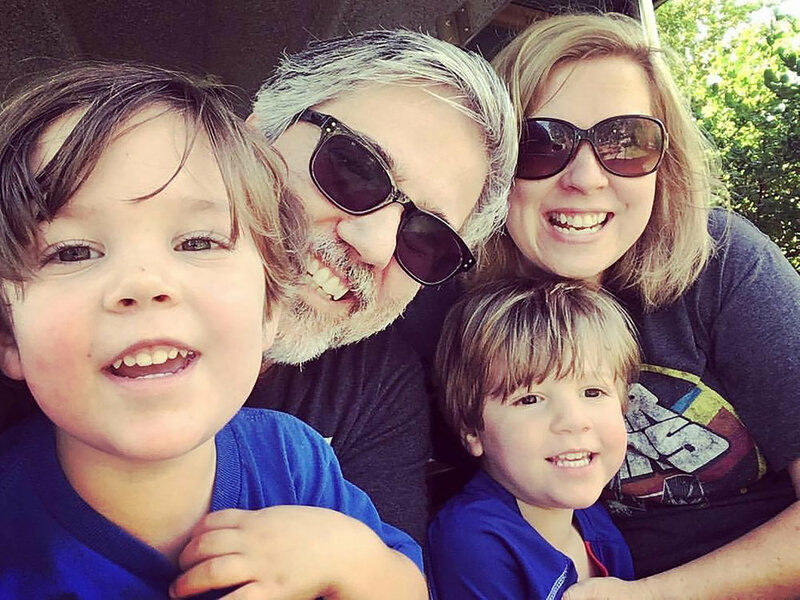 She and husband Gerry Bruno became first-time parents to fraternal twin boys in their 40s. “We were kind of just living life, doing our thing. We lived in New York and had a very busy lifestyle that included commuting—we eventually moved to New Jersey—working long days and having events nearly every night. Our lives were exciting but hectic,” Ruud said. Seeking to increase their quality of life, they moved to Arkansas in 2008 and casually decided to start a family. “We had a mindset of ‘If it happens, it happens,’ but then it didn’t happen and [expanding our family] became more of a yearning,” Ruud said. 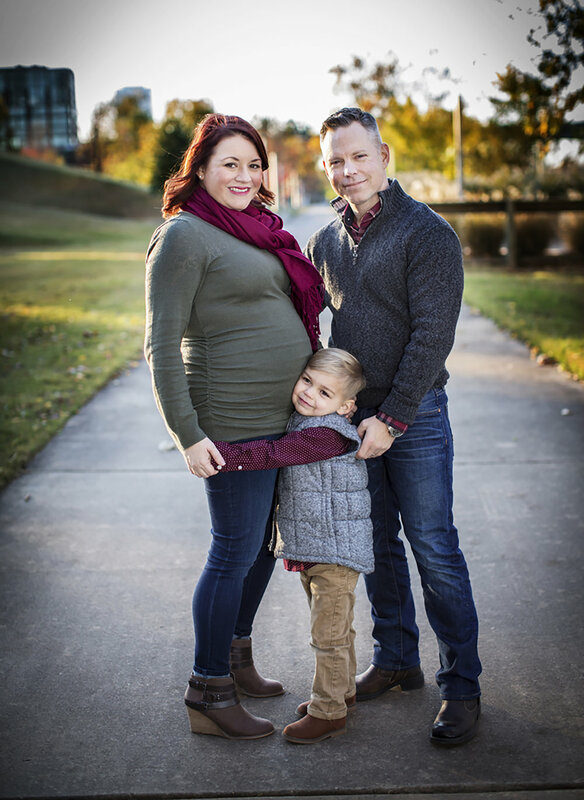 Dr. Paul Wendell is one of those “miracle workers.” He is a board-certified obstetrician-gynecologist specializing in maternal-fetal medicine and high-risk pregnancies; he practices at the University of Arkansas for Medical Sciences. When discussing the topic of older women having children, he has professional and personal experience: He and his wife have six children, three born after his wife was 35 years old and one when she was 43. A RECENT DAY OF FUN WITH TWINS, DAD, GERRY BRUNO AND MOM, JENNY. Medically speaking, childbearing age is 12 to 35 years of age. Once a woman turns 35, Wendell said, statistically and genetically speaking, things are different. Three key things must be taken into consideration. “Moms who are older than 35 years don’t like to hear that; however, it’s important to note because genetics don’t change. As we get older, we get wiser but not necessarily better from a health standpoint,” he said. Conditions, such as cardiac disease, obesity, hypertension, diabetes, respiratory issues, kidney or renal trouble, autoimmune diseases, like lupus, inherited risk factors, and any past injuries and sickness may also come into play as they become more common as we age. 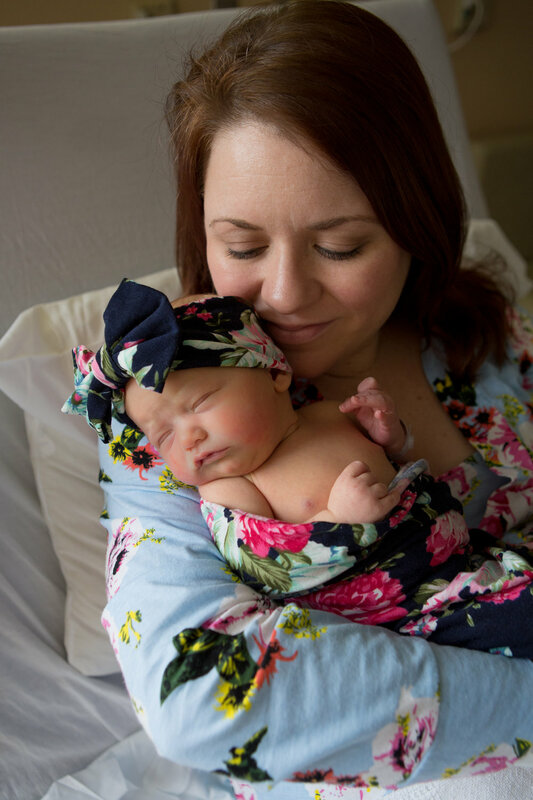 AFTER WEEKS OF BEDREST AND A SLIGHTLY BUMPY PREGNANCY, THE GRIMES FAMILY WELCOMED Florence Elizabeth "Birdie" IN March. Laura Grimes can attest to this. She’s 36 and recently gave birth to her second child, a healthy baby girl. She also has a 4½-year-old son. This time around, though, Grimes found pregnancy posed a few physical challenges, such as severe morning sickness—which isn’t necessarily due to age—and back pain due to an injury and surgery she’d previously undergone. She also had what doctors called an irritable uterus, meaning she experienced contractions that didn’t cause dilation, but quite a bit of discomfort. She worked from home for a portion of her pregnancy and later was placed on bedrest. Ruud also experienced some difficulty. She became pregnant after a second round of IVF. She said the months-long process of appointments, hormones and shots was stressful, but made her and husband Gerry an even stronger team. She had preeclampsia at 30 weeks and was placed on bedrest in the hospital. Dr. Wendell said Ruud’s experience is common with high-risk pregnancies. “They almost always involve preeclampsia, a complication characterized by high blood pressure; preterm labor; or premature rupture of membranes. LAURA GRIMES AT 24 WEEKS WITH HUSBAND, BEN, AND SON (AND PROUD BIG BROTHER), Julian Bryant "Buzz." Photo by Jane Colclasure. Coincidentally, both women have lived in New York, an area where many women wait to have children. Having had children during and after the “official childbearing years,” Grimes has gained perspective. “I wish I’d known not to stress over every little thing and not to rush through the hard parts. Physically, pregnancy at a younger age is easier; however, the advantage of being older is that you’re financially and emotionally more settled,” she said. Ruud said her children are well worth all that she experienced. “My boys are pretty awesome.” She offers a bit of advice for other women who wish to become first-time mothers after 35. Both women are overjoyed with their decisions. While they experienced some difficulty during their pregnancies, they are enjoying their children and treasure the joys of “late” motherhood.